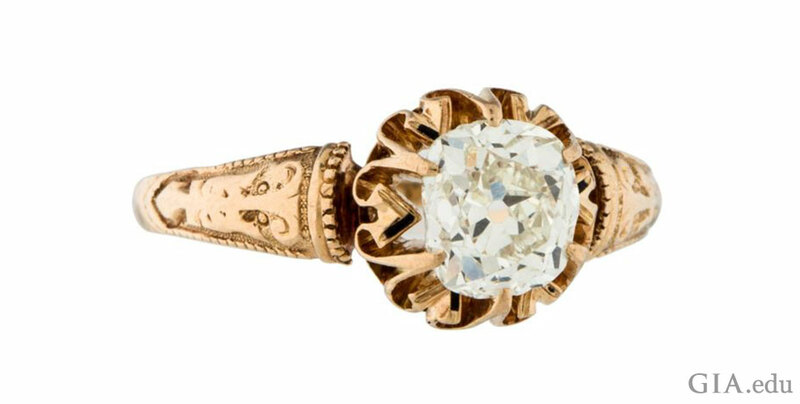 Victorian style engagement rings evoke a romantic past. Flowers, hearts and acrostic messages are just a few of the motifs you can use to create a symbol of your love. 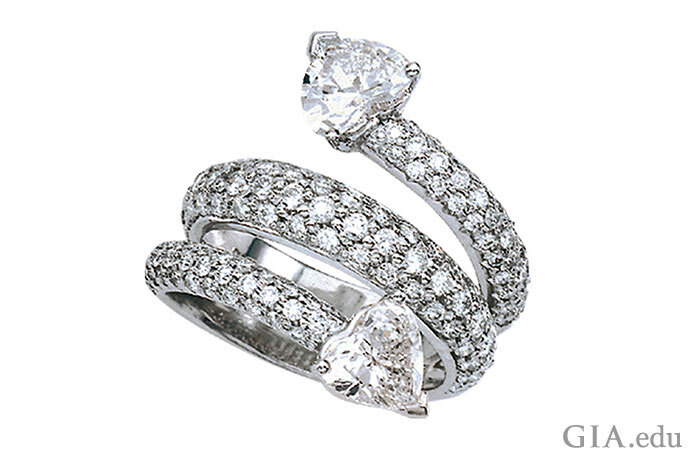 Learn more about this captivating engagement ring style. The Victorian era is named after Queen Victoria (1819–1901), who ruled Great Britain for almost 64 years, from June 20, 1837 until her death on May 1, 1901. For decades, the beloved monarch’s tastes influenced art, style and customs. A wreath of fragrant orange blossoms that she wore on her wedding day became the fashion of the time for British brides. The jewelry that she wore, which was featured in newspapers, was widely copied. Queen Victoria’s marriage to Prince Albert lasted a brief 21 years. Their love was celebrated and idolized by an admiring public. After Albert’s untimely death from typhoid in 1861, Queen Victoria spent the rest of her life in mourning, but her love for Albert became the stuff of legend. Queen Victoria’s jewelry collection included a serpent bracelet she wore to symbolize “the wisdom of the serpent” that she sought as the head of state, reset treasures from the Crown Jewels, a heart-shaped locket with strands of Prince Albert’s hair (worn after his passing), and a sapphire and diamond diadem. Particularly beloved were the jewels Albert gave her, often of his own design. His wedding gift was a sapphire and diamond brooch, which she wore proudly in her bridal portrait. Over the years that followed, in honor of the floral tiara she wore at her wedding, he gave her several pieces in the orange blossom theme. Mourning jewelry, which she wore after Albert’s death, became fashionable across England. In addition to the black enamel, jet and onyx of mourning jewelry, diamonds continued to play an important part in Queen Victoria’s life. As a widow, she dressed herself in black silk and diamonds. During Queen Victoria’s long reign, a number of revolutionary inventions reshaped society: anesthesia, the telegraph, the telephone, automobiles, bicycles, the electric bulb and railways. It was a time of comparative peace and prosperity for a growing middle class who could afford to purchase jewelry. In the late 1860s, the discovery of large quantities of diamonds in South Africa put a gem that was once reserved to the aristocracy and wealthy within the reach of many. 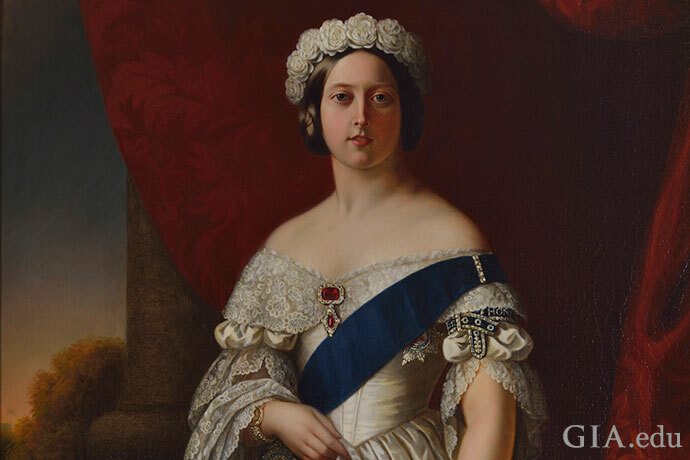 As Queen Victoria reigned for more than six decades, the period is rich in jewelry styles. 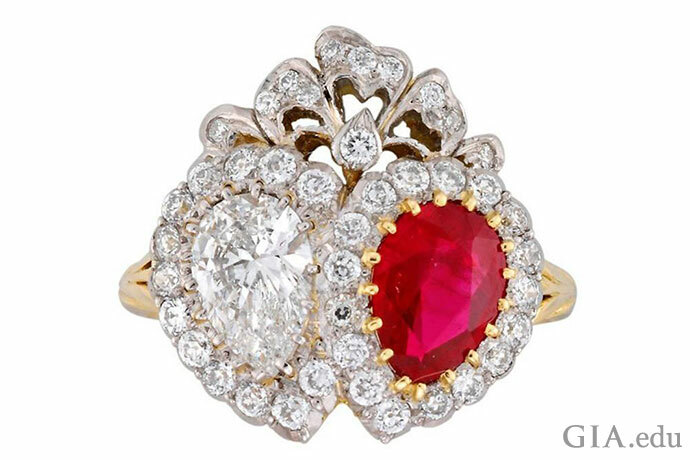 Here are some motifs you can use in your one-of-a-kind Victorian style engagement ring. 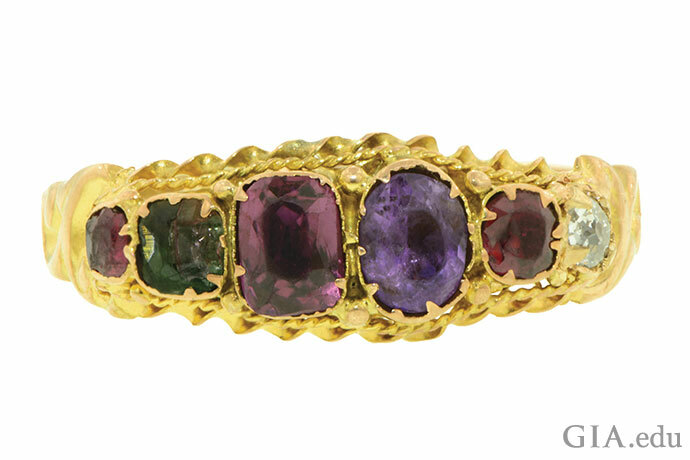 Victorians loved acrostic jewelry – using the first letter of gemstones to spell a word. 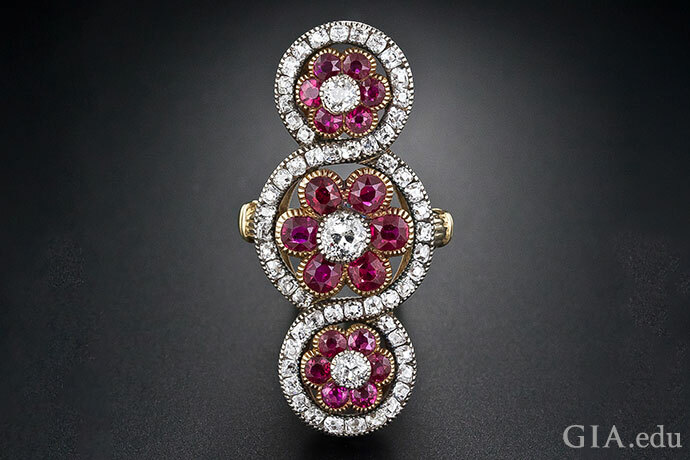 For example, the word “Regard” was spelled by using a ruby, emerald, garnet, amethyst, ruby and diamond. Regard, Adore, Dear and Dearest were popular acrostic terms, as were birthday wishes. Acrostic jewelry was meant to send private messages known only to one’s beloved. That makes it perfect for your personally designed Victorian style engagement ring or wedding band. The snake has been used as a symbol for millennia. Today the snake may have negative associations for many; however, during the Victorian era, the snake represented love, eternity and wisdom. 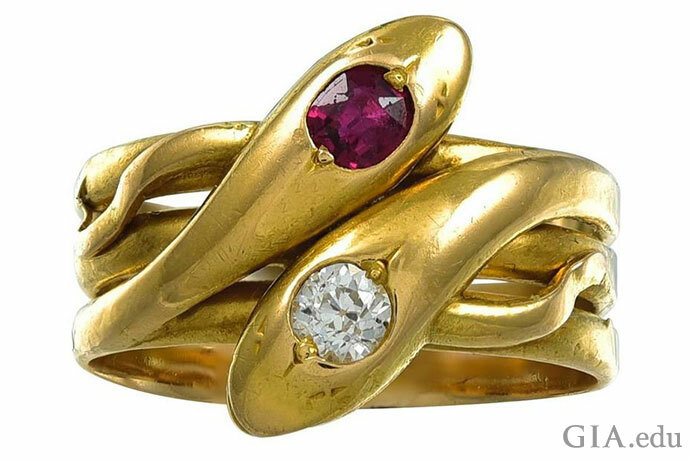 Adding a snake motif to your custom-created Victorian style engagement ring or wedding band could be an edgy and eye-catching choice. Victorians loved horticulture, built greenhouses to grow exotic plants and devoured books on the subject. They felt specific flowers had specific meanings: Tulips meant passion, bluebells represented kindness, myrtle stood for good luck and love in marriage, red roses symbolized love, and purple violets conveyed “thoughts occupied with love.” As a result, the giving of flowers often conveyed emotions that could not be spoken out loud. 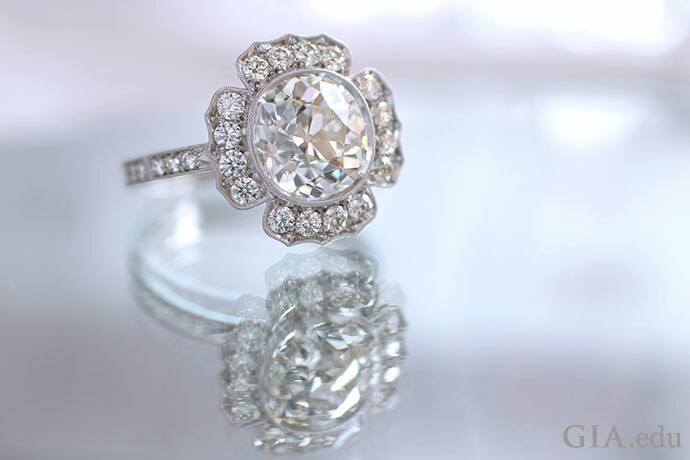 Now that you know the meaning of these blooms, you can add the appropriate flower or even a bouquet of flowers to your Victorian style engagement ring. By the latter half of the 19th century, the discovery of diamonds in South Africa had put the dream of a diamond engagement ring within reach of the rising middle class. A gem that was once extremely rare was now being mined in sufficient quantity to fulfill the demands of a broad range of people. The old mine cut, an early cushion-shaped brilliant cut with many proportion variations, was often used in jewelry during the early and mid-Victorian periods. It has 58 facets like most round brilliants, but it typically has a smaller table, larger culet and higher crown. Other characteristics include short lower half facets and a girdle that is very thin in places. As a result, an old mine cut diamond has a very distinctive look. Advances in diamond-cutting technology in the late 1800s allowed cutters to create round girdles. This led to the old European cut, precursor to today’s round brilliant cut, gaining popularity during the late Victorian period. For centuries a plain gold band was a common choice for an engagement ring. By the Middle Ages, though, gem-set “betrothal rings” had become fashionable. In 1477, Archduke Maximilian of Austria gave Mary of Burgundy a diamond betrothal ring, one of the earliest on record. To bring more light (and, thus, brilliance and sparkle) to the faceted diamonds that were becoming increasingly popular, the Tiffany Setting (a six-prong setting) was introduced in 1886. A diamond solitaire is still an extremely popular choice for an engagement ring, and the use of an old mine (or similar) cut diamond will give the ring a Victorian feel. The image of a heart has long represented love, and it especially appealed to Victorians, who had a soft spot for things sentimental. Then as now, the motif is a popular means of expressing affection. 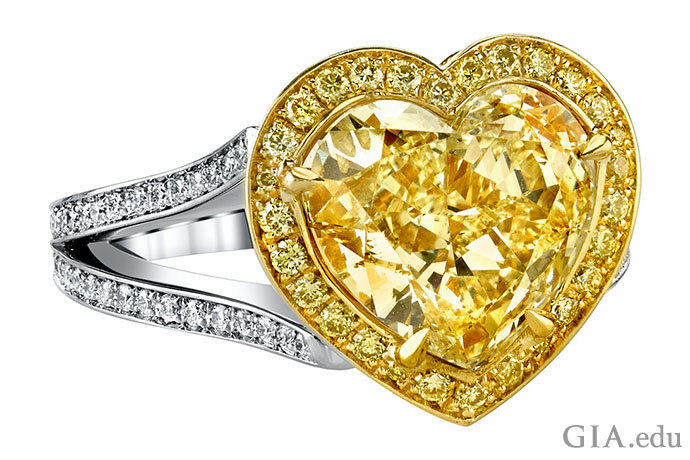 A heart-shaped diamond – or any gemstone – is an easy way to get the look in your Victorian style engagement ring. Two pear-shaped stones coming together in a single heart send the same message in a very clever fashion. A crossover ring wraps around the finger, with the ends of the band passing each other. The style was popular in the 1890s, and still remains so. It is also called a toi et moi ring (“you and me” in French). The two stones are said to symbolize the intertwining of two lives. 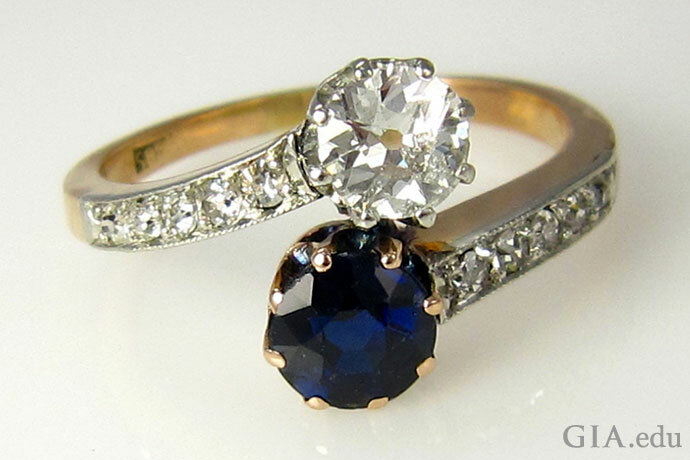 Such a romantic notion would be a lovely design choice for your Victorian style engagement ring. 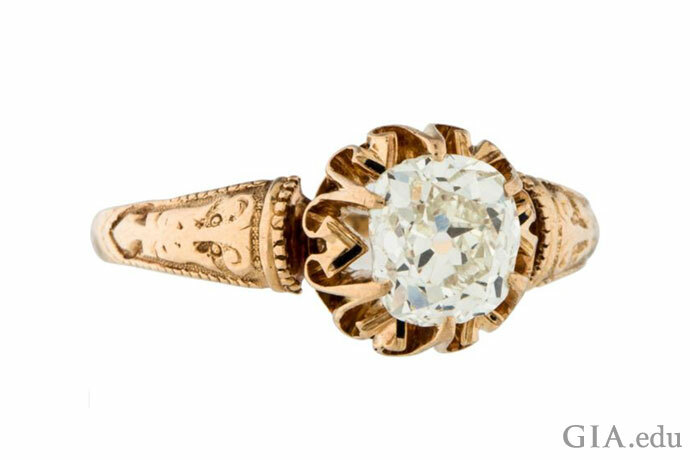 There’s no shortage of delightful motifs from the Victorian era that you can use to design a custom engagement ring. 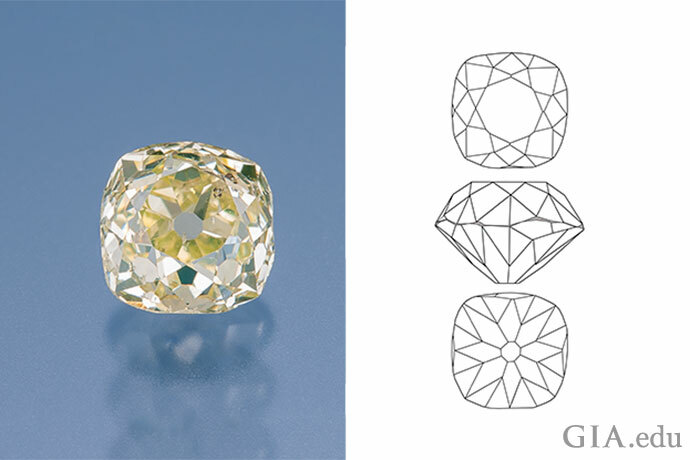 Before you start sketching, take a few minutes to learn the 4Cs of diamond quality: color, clarity, cut and carat weight. Knowing these will help you choose the perfect diamond for your beautiful Victorian style engagement ring.